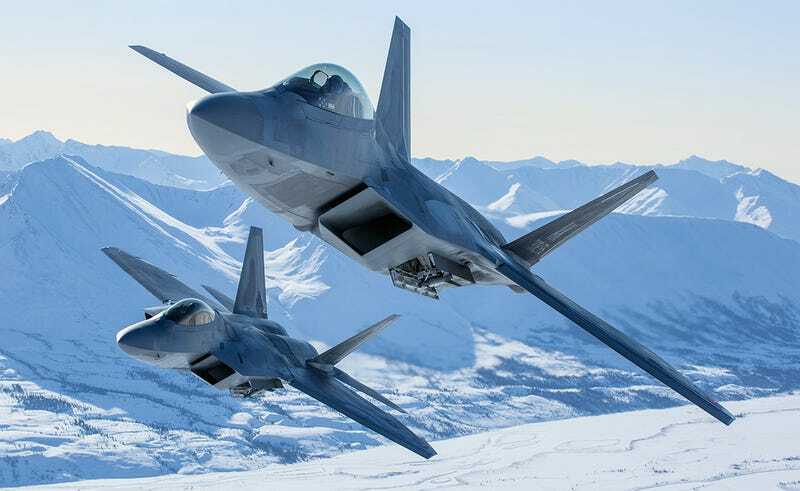 Halting production at just 187 F-22 Raptors was one of the dumbest military procurement decisions in decades, and now, nobody is really hiding that fact. This includes Air Force Secretary Deborah James. If you were to ask General Welsh or any of the uniformed officers in the Air Force, they would probably tell you they would love to have more F-22s, and the original plan was to have quite a few more additional F-22s. It was a regrettable set of circumstances, a combination of budget overruns and taking way longer than originally projected, that actually caused what became an early termination for the F-22 program. The line, the manufacturing line, is now shut down, so the very prospect of re-opening that is just pretty much a non-starter. So we’ve got what we’ve got. We’ve got the F-35 coming, approaching initial operating capability. It’s not the same, but they will complement one another and we’ll have to go forward as is. “We’ve got what we’ve got” is not exactly the most encouraging endorsement of the Air Force’s combat capability without more F-22s. Nor is it the same old line that the USAF has been selling for years, that the F-35 will be able to fill-in the F-22 gap to a large degree. Hearing such a frank answer coming from Secretary James is not a surprise, as she has proven to be an incredibly straight shooter since coming on board as the civilian chief of the USAF in late 2013. All of the F-22's production tooling and jigs remain in storage, as well as detailed videos showing how each part of the F-22 was constructed and assembled. These videos were shot during the construction of the final F-22s under contract and represent the best practices learned over the life of the program. All this would make restarting the F-22 line much easier than similar restarts in the past. But seeing that the F-22s have struggled to get the funding they need for essential upgrades, putting the jet back into production is a non-starter, at least under the Obama Administration who has double-downed on the F-35.